As a homeowner, you have many things to think about each year. If yearly HVAC maintenance isn’t at the top of the priority list, you might want to make the call. Here, you’ll learn why these service calls are so important, and you’ll get some valuable advice for getting the most out of them. Is Yearly HVAC Maintenance Enough? Most people in Florida use their air conditioners year-round. 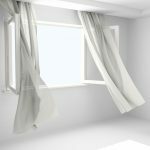 While there are some nice days that allow you to open the windows and enjoy the fresh ocean breeze, the truth is that most days are warm, humid, and downright uncomfortable without the air conditioner. For this reason, homeowners in Florida may want to consider having their air conditioners inspected twice pear year. Remember that during these yearly HVAC maintenance calls, technicians do more than just inspect. They also lubricate moving parts that will help extend your system’s lifespan. When your AC runs year-round, keeping it in optimal condition is vital. Different companies perform different tasks during yearly HVAC maintenance visits, so it’s important to ask questions and figure out which company is going to give you the most preventative know-how and experience for your money. Look for companies that will give you the most thorough inspections possible. This should include inspecting the outdoor unit, too. Inside, the technician should look at all the moving parts of the system, the electrical components, and even the refrigerant levels. The more “points” on the inspection checklist, the better. Again, the amount you should expect to pay for your yearly HVAC maintenance calls will vary from company to company. Sometimes, you’ll pay the usual labor rates, which range from $50 to $70 an hour. When you consider the fact that the average maintenance call takes one to two hours depending on complexity, that’s anywhere from $100 to $140. Other companies charge flat rates for their maintenance calls; in this case, the average cost is about $100 for each visit. You may have the option to join a “club” or purchase a membership that will provide you with even more savings throughout the year, even when you need repairs. Is Yearly Maintenance Worth It? You might wonder if it’s worth the money to call an HVAC company to look over your air conditioner twice per year. After all, if your system seems to be cooling as it should, chances are good that everything is okay – or is it? Air conditioners often give certain warning signs before they stop working, and they aren’t always as noticeable as a loud noise. HVAC technicians are trained to pinpoint these issues long before you notice them, which can make a tremendous difference in your overall repair costs. It can even improve the efficiency of your system, which could save you hundreds of dollars in energy costs, too. If you haven’t scheduled your yearly HVAC maintenance call yet, now is the perfect time to do it. Not only does it save you money and protect your family’s comfort during hot Florida summers, but it also provides you with peace of mind. There’s nothing better than knowing your investment is working as it should. 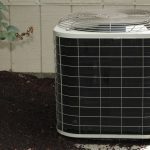 Central Air Conditioner Lifespan – How Old is Too Old?